Acquiring financing for multiple properties, whether for investment purposes or the purchase of a new home (when you’ve not yet sold an existing one) can present some challenges for both borrowers and lenders alike. Traditional mortgage financing will not typically support the circumstances or timing in these situations, but a cross-collateral loan from a reputable lender may be just the solution you need to help you accomplish your investment goals, streamline your finances, and move quickly to secure sought-after properties in the market. What is a Cross-Collateral Loan? In a cross-collateral loan, a lender issues new financing that includes two or more properties for collateral (including existing properties and the new purchase), including release provisions for each property. The new loan secures multiple properties in one monthly payment for the buyer. For example, if a buyer owns a property with no debt that is valued at $500K, then the buyer could get a loan for a new property priced up to $500K, using the existing property and the new purchase as collateral to secure financing. 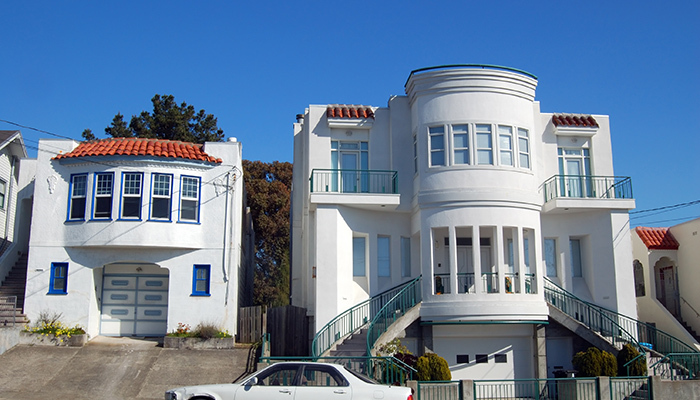 Cross-collateral loans provide financing for buyers who are in unique positions that may otherwise rule out loan options due to their circumstances (or those of the property they wish to buy). Which Types of Buyers Benefit Most From a Cross-Collateral Loan? Investors can take advantage of cross-collateral loans by using the equity on other properties they own as collateral for a new purchase. With a cross-collateral loan, an investor can move quickly on a sought-after investment property and make a strong, cash offer with no contingencies of selling an existing property or obtaining financing. Home buyers who are looking into purchasing a second residence, or who want to purchase a new home before they’ve sold an existing property can also benefit from a cross collateral loan. These buyers can use their existing equity and pledge it as collateral on a new home purchase. The buyer can then pay one payment for both properties. If one of the properties used as collateral is debt-free, and the buyer sells that property, those funds can be used to pay off the cross-collateral loan. This type of cross-collateral loan is commonly referred to as an owner-occupied bridge loan, which provides short-term financing options for buyers. Risky property types or poor buyer credit profiles can often prevent investors or home buyers from getting the financing they need to purchase a particular property. Cross-collateral loans are a great option when there is extra risk involved in the deal, because there’s extra collateral on existing properties to help secure the loan. Many lenders do not offer cross collateral, but First Bridge Lending understands the importance of reliable, reactive investor financing. We have extensive expertise in cross collateral loans and can help you leverage your existing equity as collateral on a new investment-all in one loan payment. We handle all the underwriting in house, can waive inspections and appraisals, and can get you funds for an all-cash offer in as little as 3 days. First Bridge is local to California and understands just how the market is trending where you’re looking to buy. We can meet with you in person, attend property visits, and advise you on the specifics of the area where you’re looking to buy. For more information on First Bridge Lending and our lending practices, please contact us directly by calling 415-366-1235.